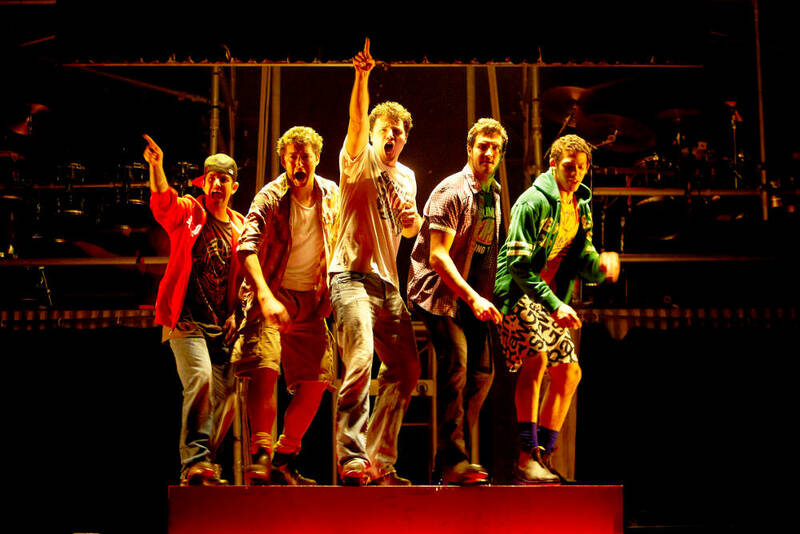 Eighteen years after its conception, Tap Dogs continues to wow audiences across the world. Dein Perry’s part theatre, part rock concert, part construction site tap extravaganza, has toured continuously throughout the world with performances in over 330 cities across 37 countries, and this month will mark its triumphant return to the South African stage. Born and bred in Australia (the show is considered the country’s most successful theatrical export), Tap Dogs really is a performance like no other. 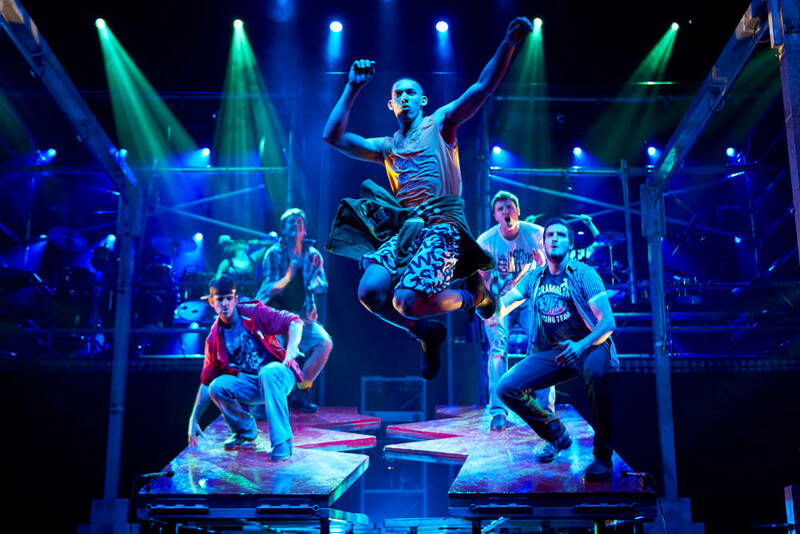 With accolades including an Olivier Award-winning six-month run on London’s Shaftesbury Avenue and sell-out runs in New York, it’s no surprise that Tap Dogs delights everybody who sees it – simply put, the show is pure fun. You may have seen Bootmen – the 2000 Tap Dogs inspired movie directed and produced by Dein, and the live show carries all the charm and talent of its big screen counterpart, but with the added experience of getting to see the stunts and dances up close and personal. 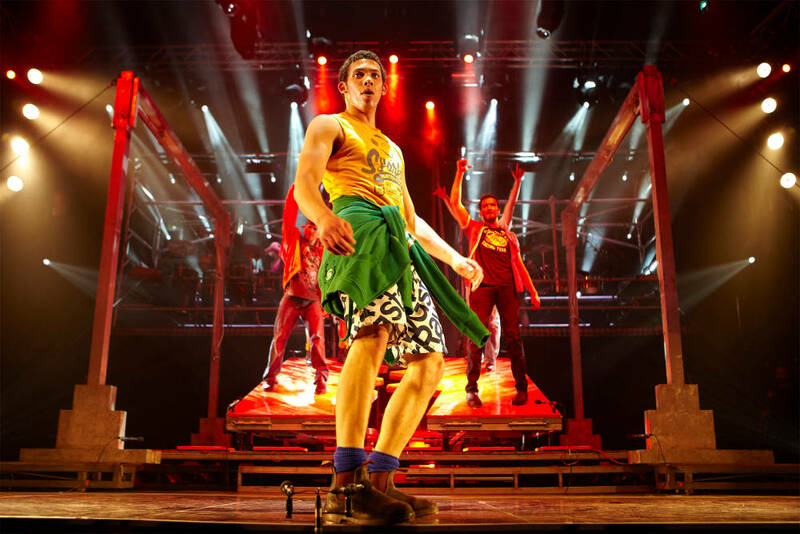 Taking place on a construction site in the steelwork’s town of Newcastle, just north of Sydney, even the set itself guarantees great entertainment from the second the curtain rises: think steel scaffolding, industrial lighting, angle grinders and metal piping all working together to create the most unlikely of musical settings. And yet, the unusual set-up is the perfect background to a story inspired by creator Dein’s own upbringing in Newcastle, where he learnt to tap as a young boy among the steel and concrete of his hometown. Made up of a team of six male dancers and two female musicians, Tap Dogs will give you the chance to see tap dancing as you’ve never seen it before. Combining the strength and power of workmen with the precision and talent of tap dancing, you can expect to be treated to everything from upside-down tapping on the ceiling, to tapping in water and jumping through scaffolding, all coming together to create what can only be described as an unforgettable experience. Running from 29 August to 9 September at the Teatro at Montecasino, it’s an experience that every member of the family can enjoy, so be sure not to miss out.